Large waves have prompted lifeguards to be on the lookout as a High Surf Advisory is in affect for Friday and Saturday. Wave height could reach up to 12 feet, according to National Weather Service and it also warned that minor coastal flooding could be a result of the swell rolling in. While conditions were perfect for surfers earlier in the week, the weekend swell is proving to be more dangerous for swimmers. Lifeguards are on the lookout for rip currents and have warned beachgoers of dangerous conditions. Waves crashed into the floor of the Ocean Beach pier throughout Friday, which prompted officials to close the area temporarily. 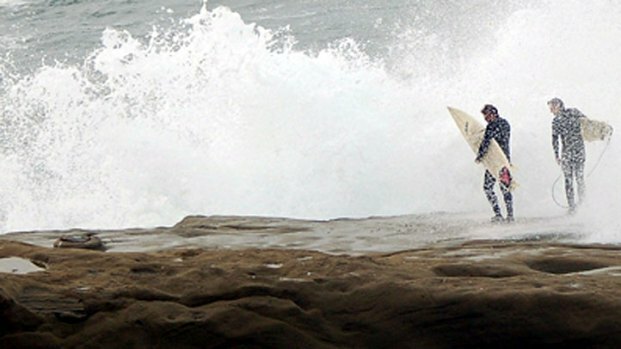 Big swells are pounding our coastline. Lifeguards are warning inexperienced swimmers and surfers to be extra careful. NWS expects the swell to peak Friday afternoon and slow down by Saturday evening. People are encouraged to stay off jetties and exposed rocks near surf zone.